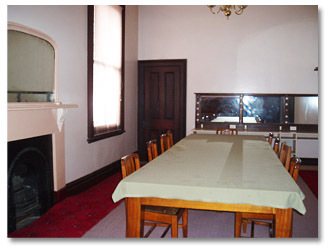 This room can have many uses both day & night with 2 large windows with blinds to control the light, has heating and carpeted floor. Large conference size table seats 18 around it with room for other seating in the room. 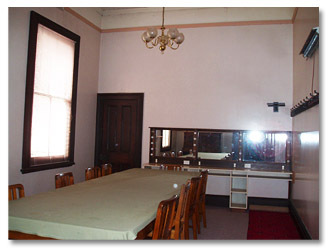 DRESSING ROOM for stage performances, makeup mirrors with lights, Coat hooks along wall.